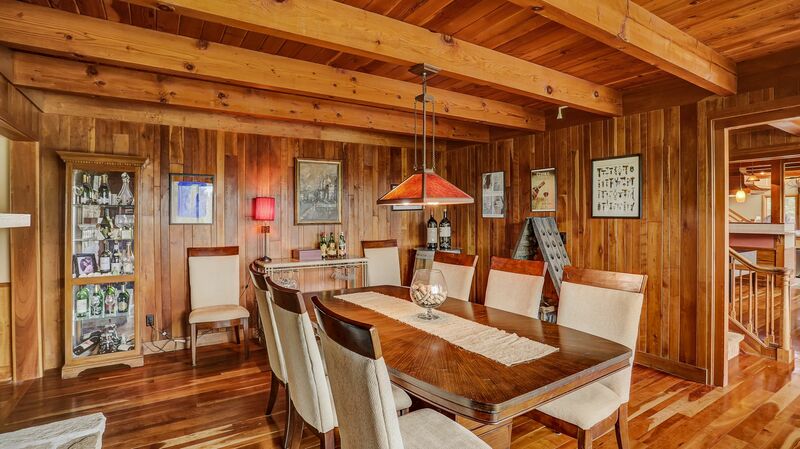 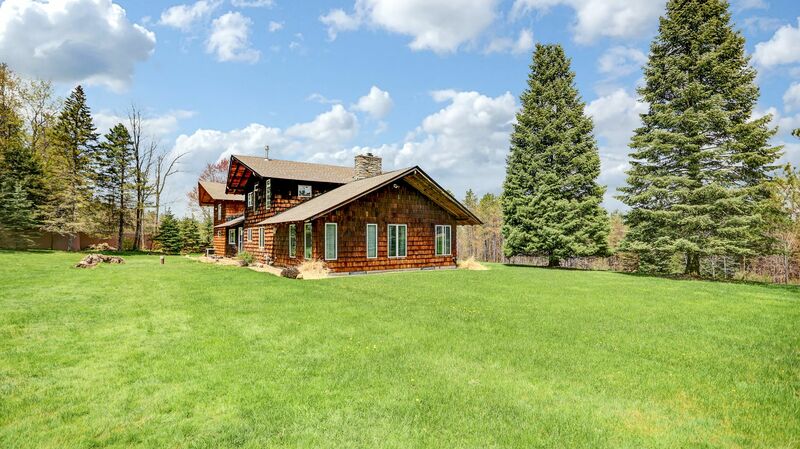 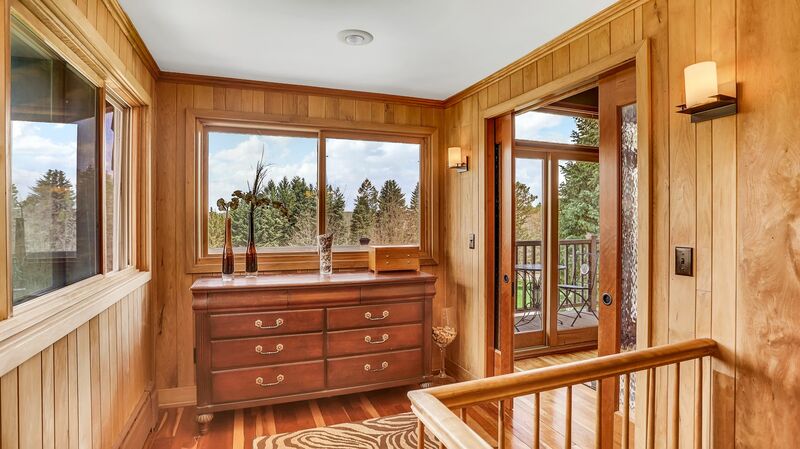 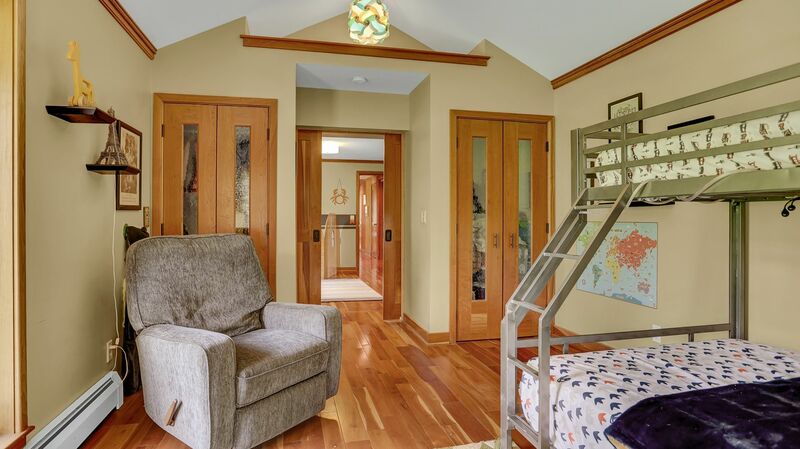 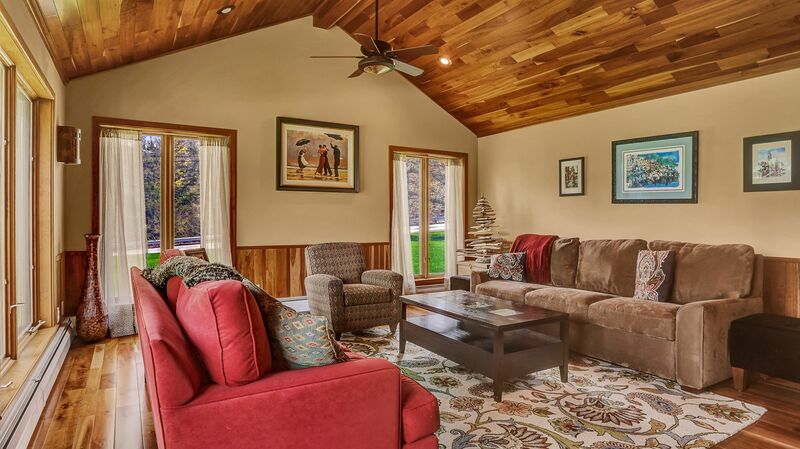 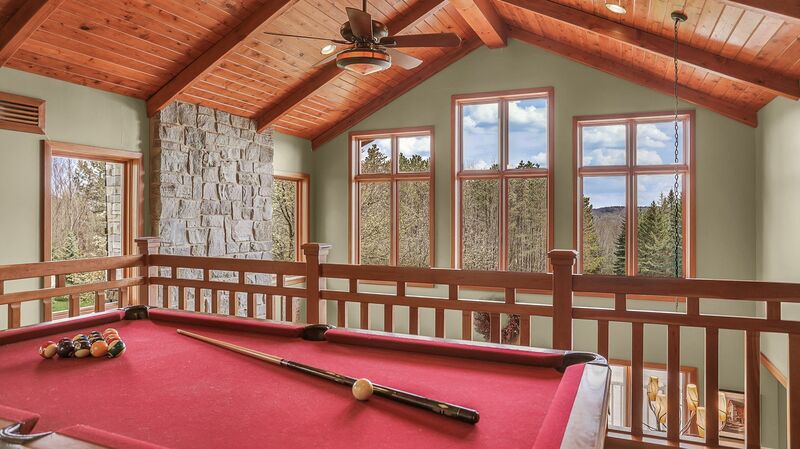 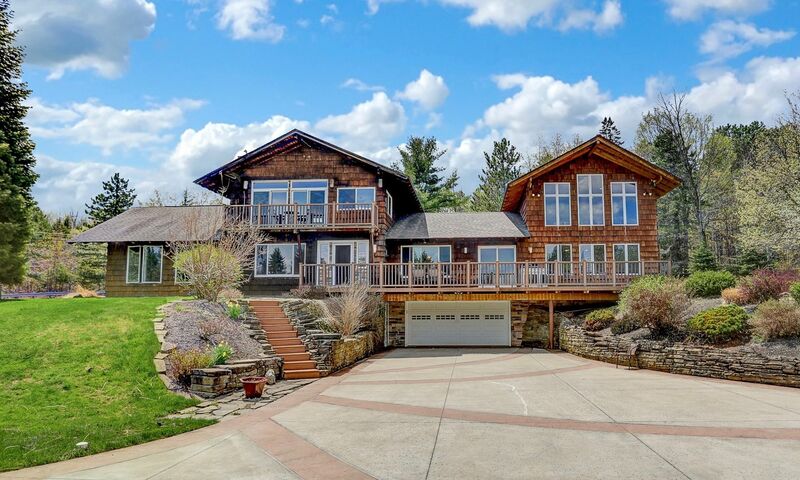 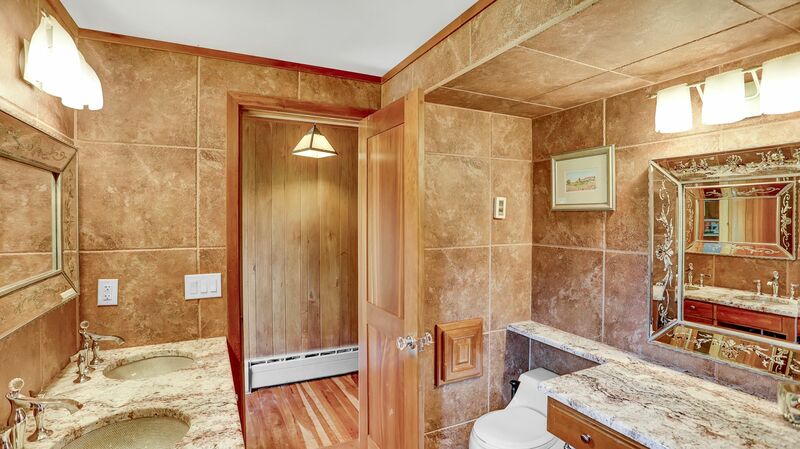 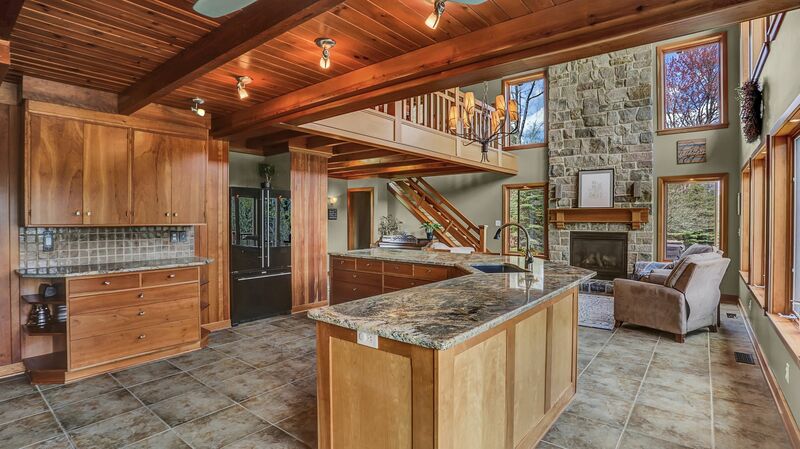 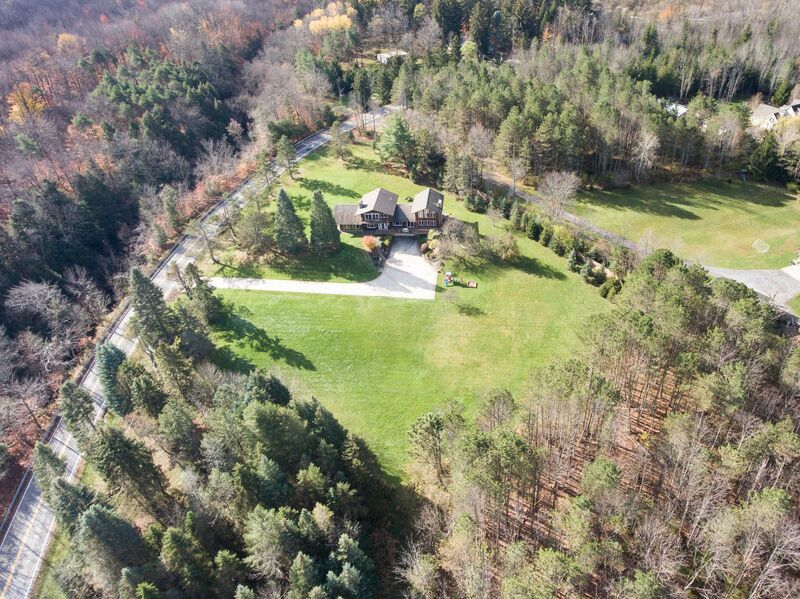 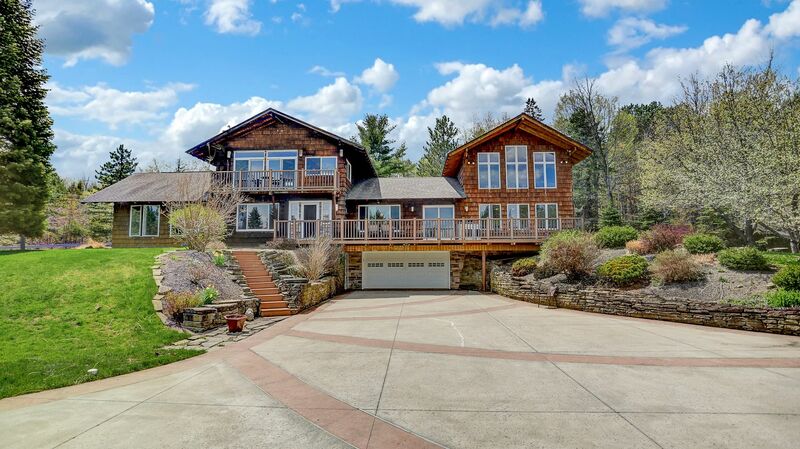 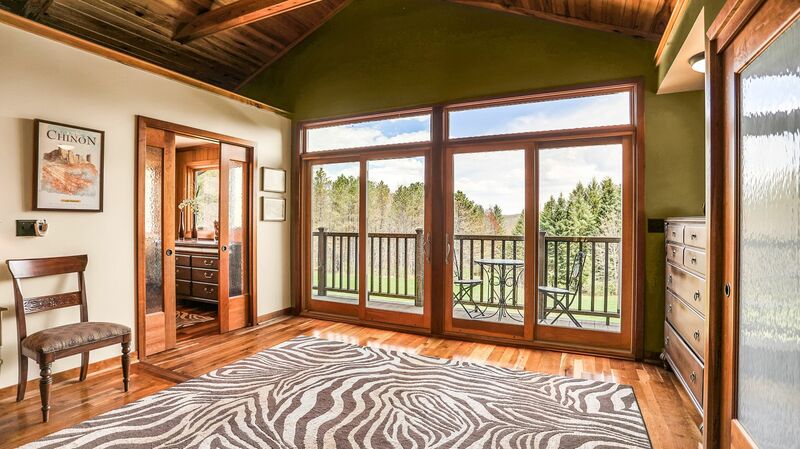 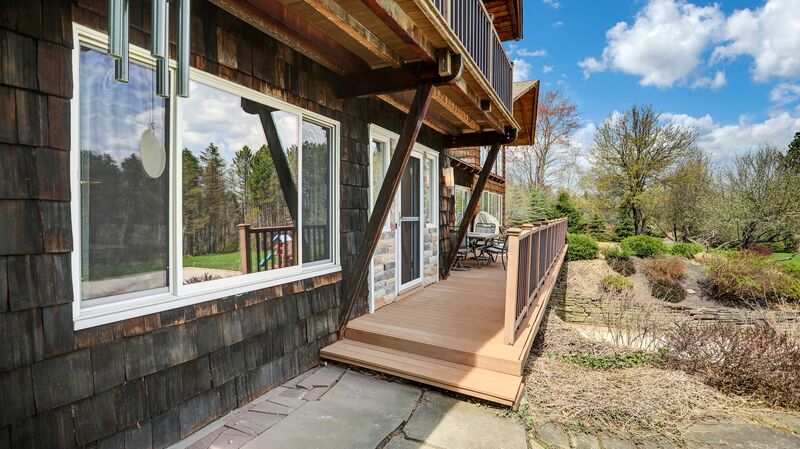 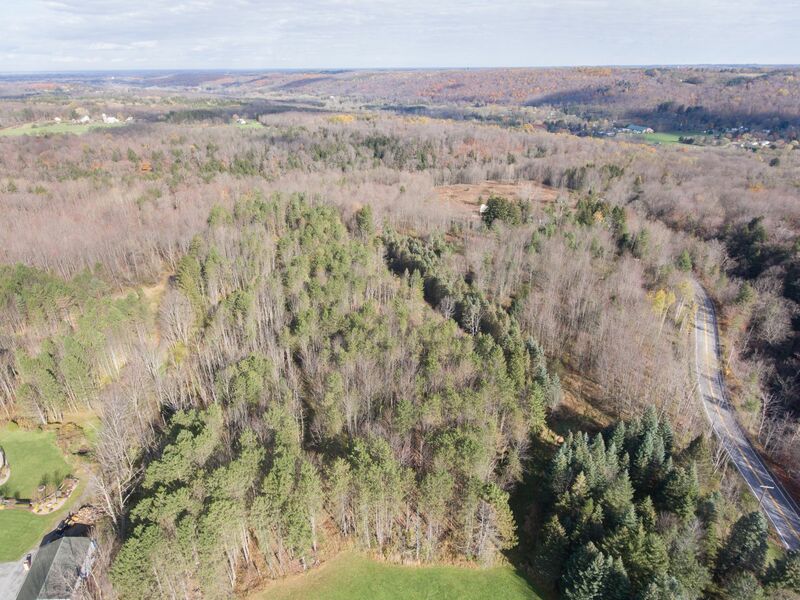 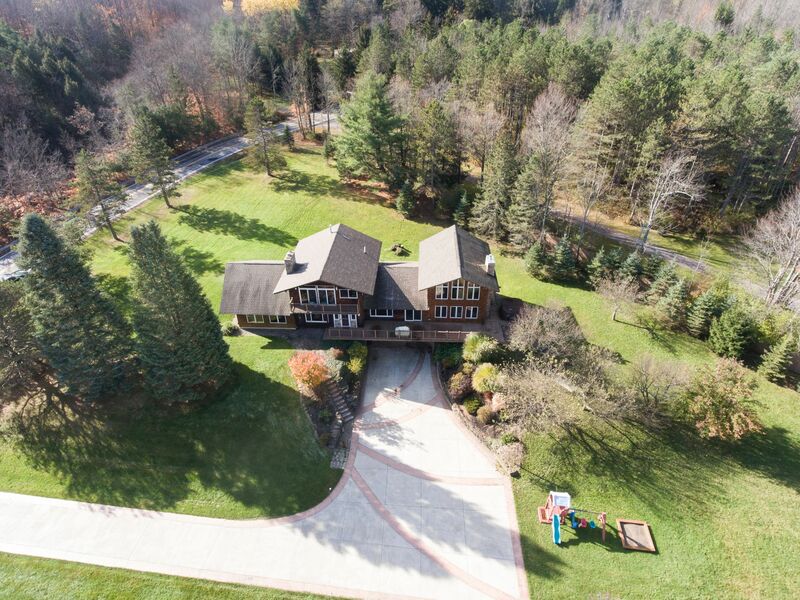 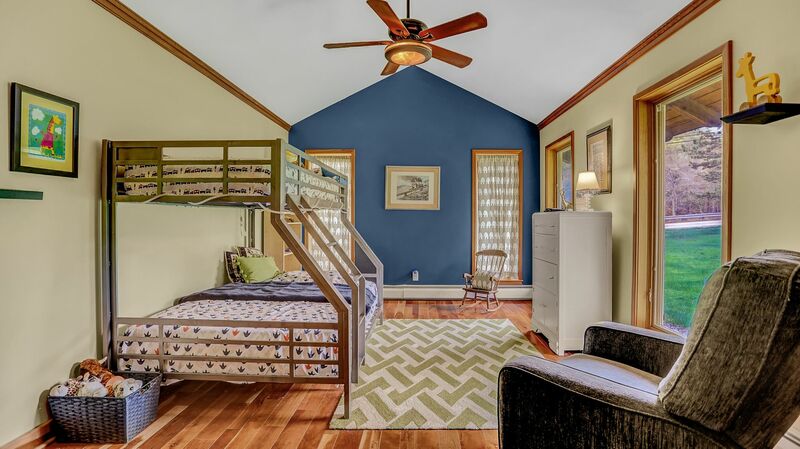 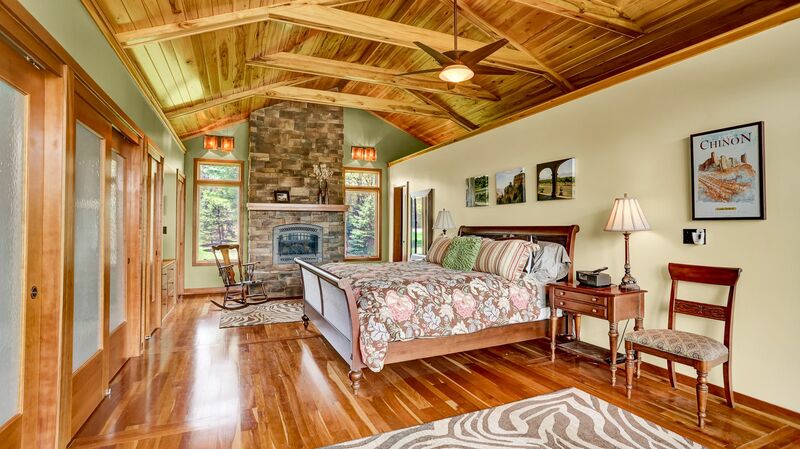 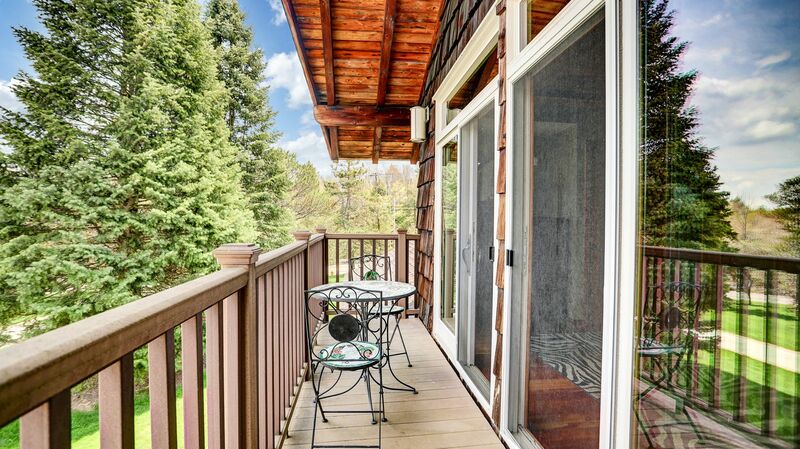 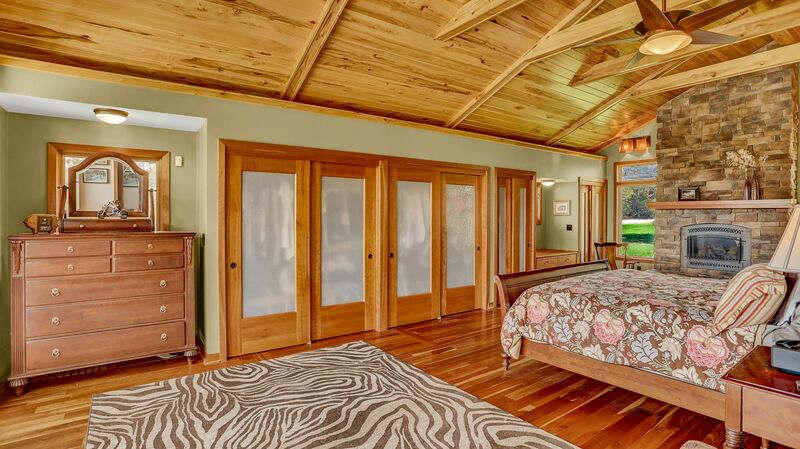 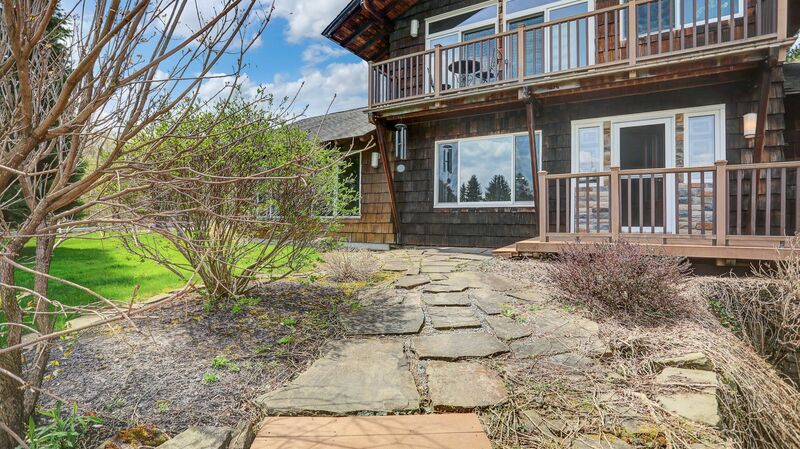 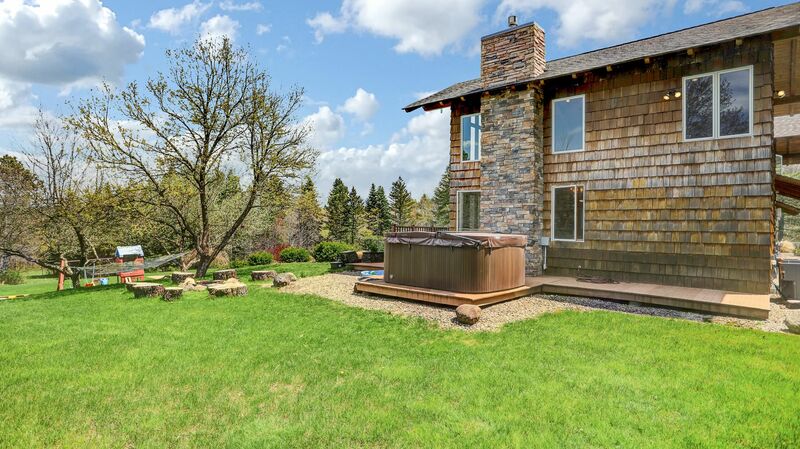 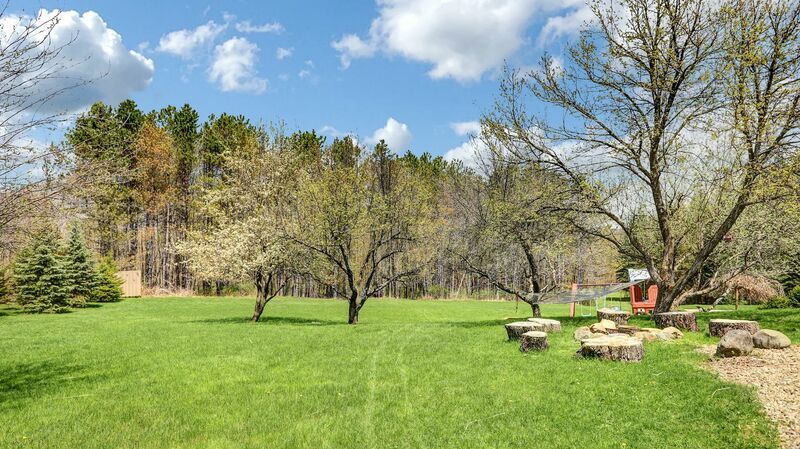 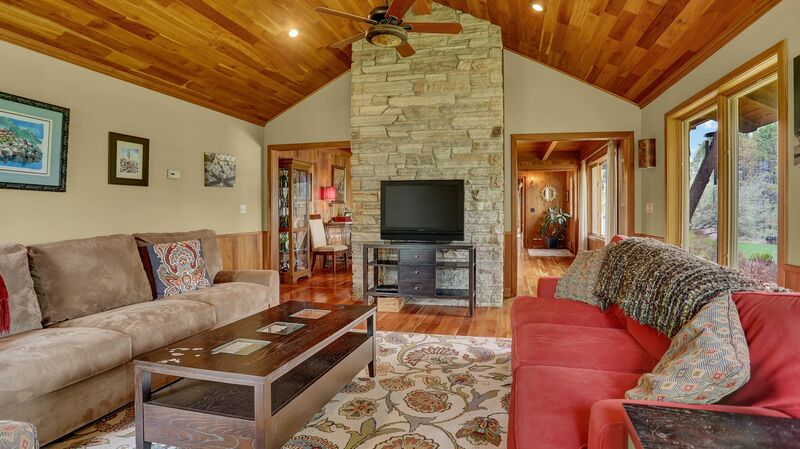 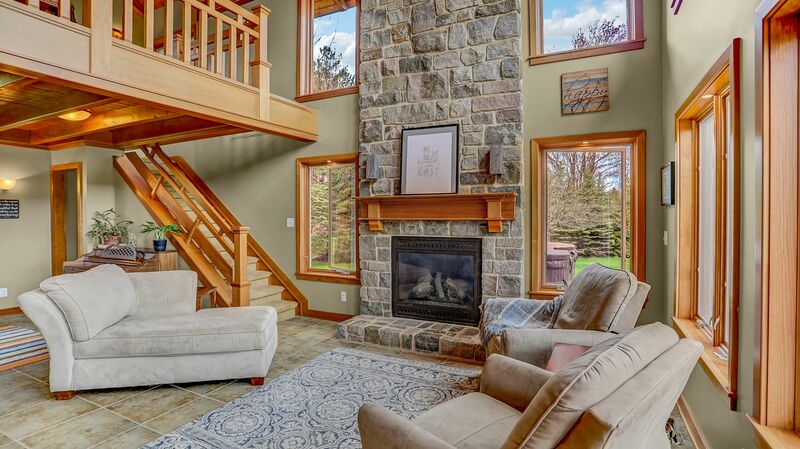 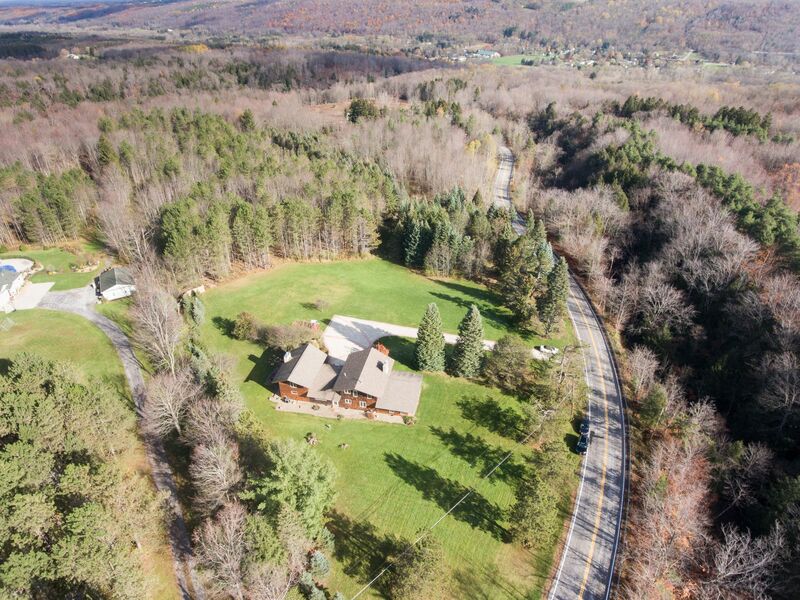 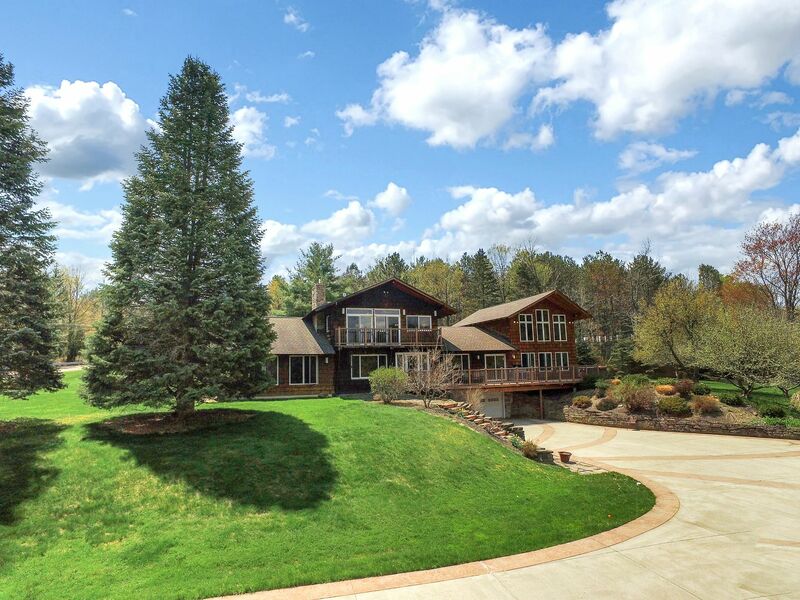 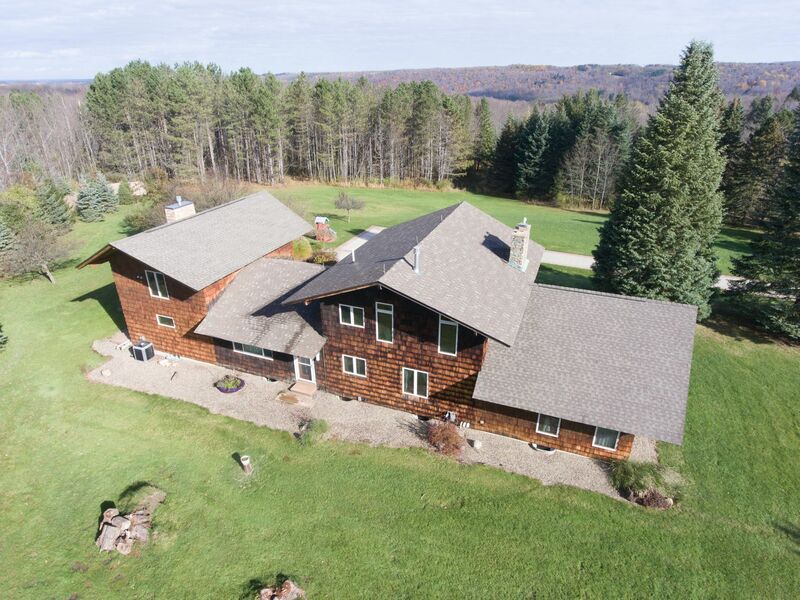 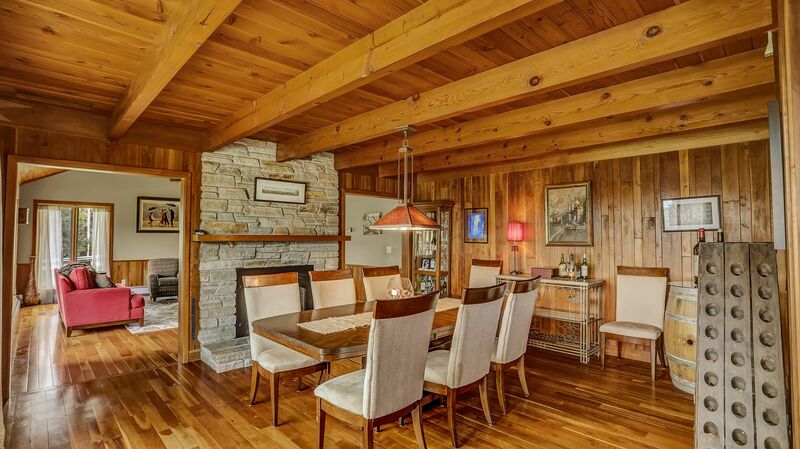 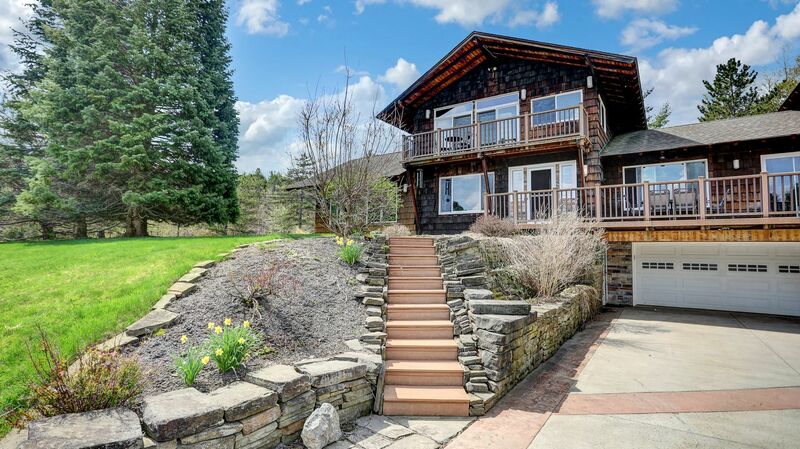 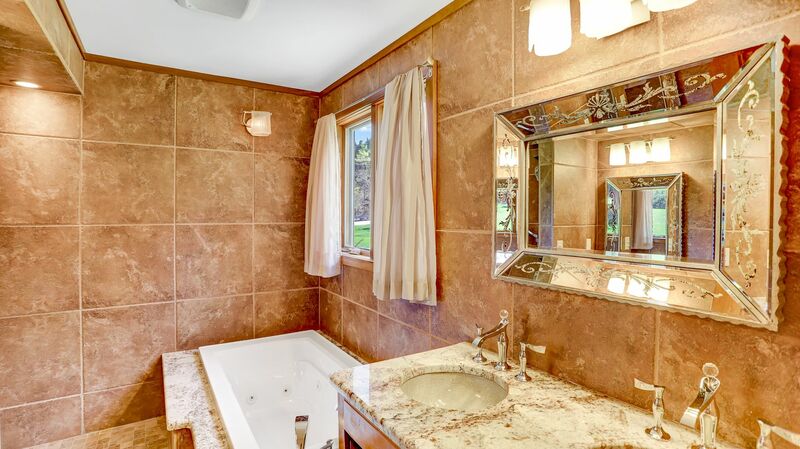 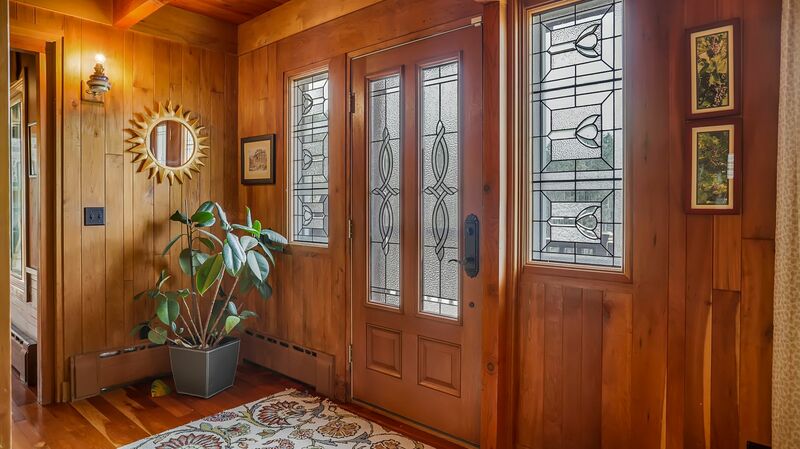 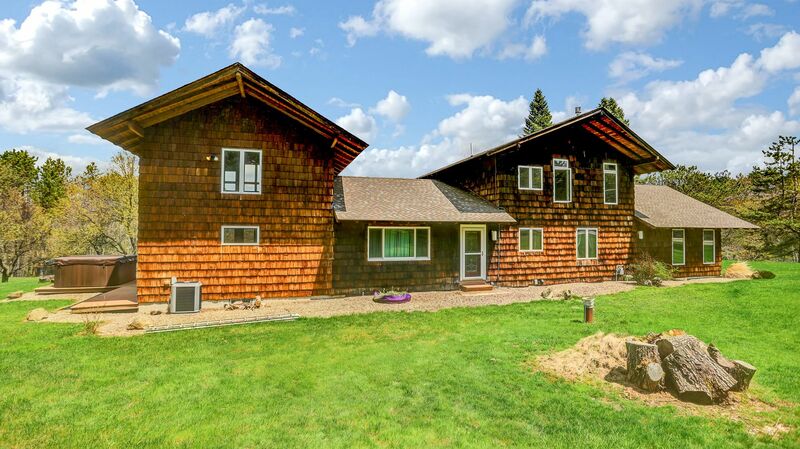 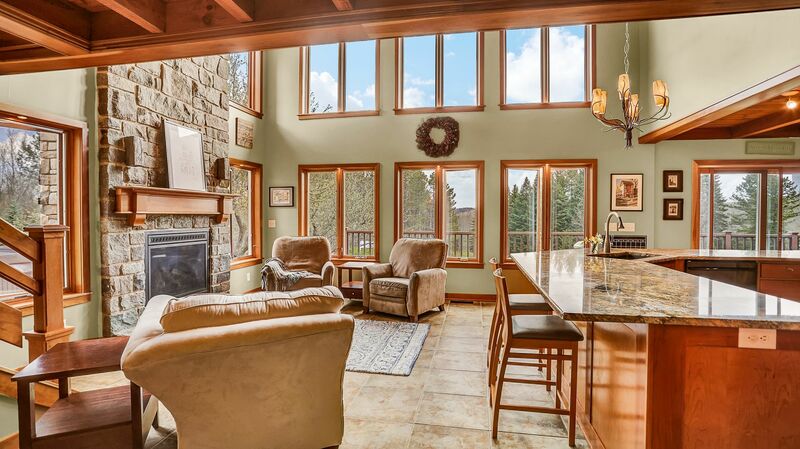 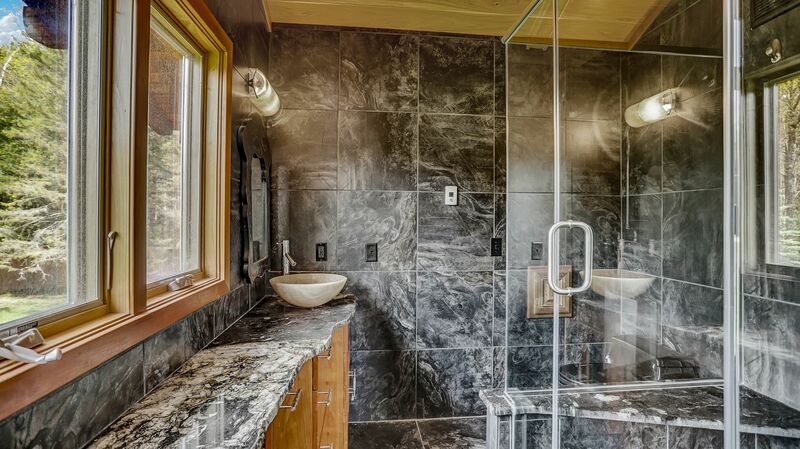 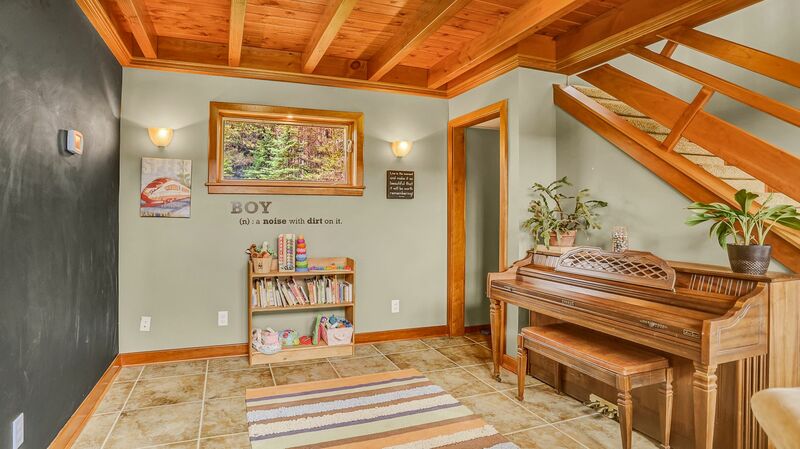 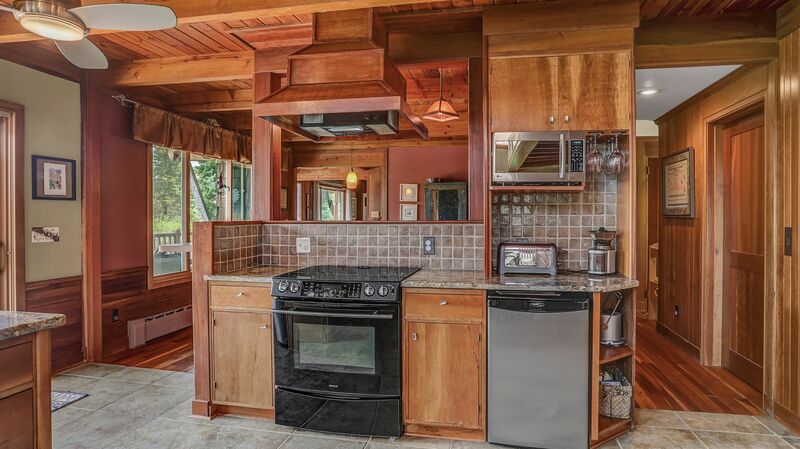 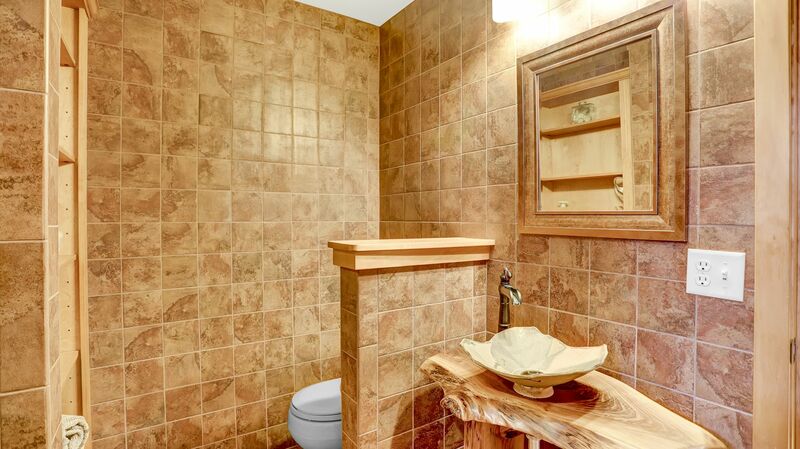 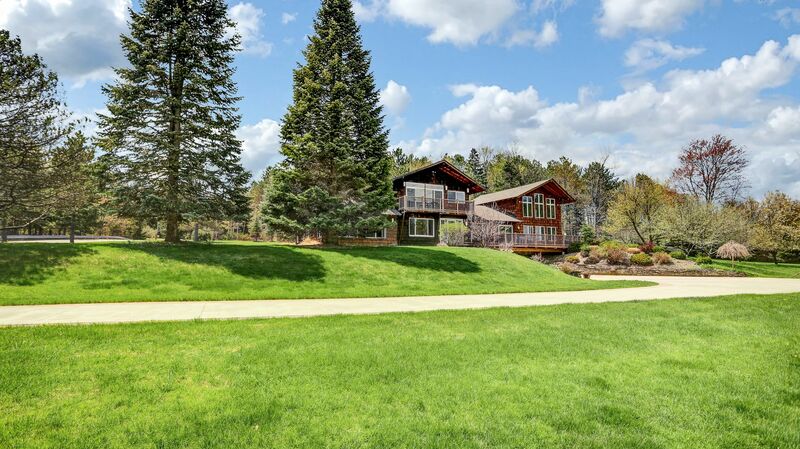 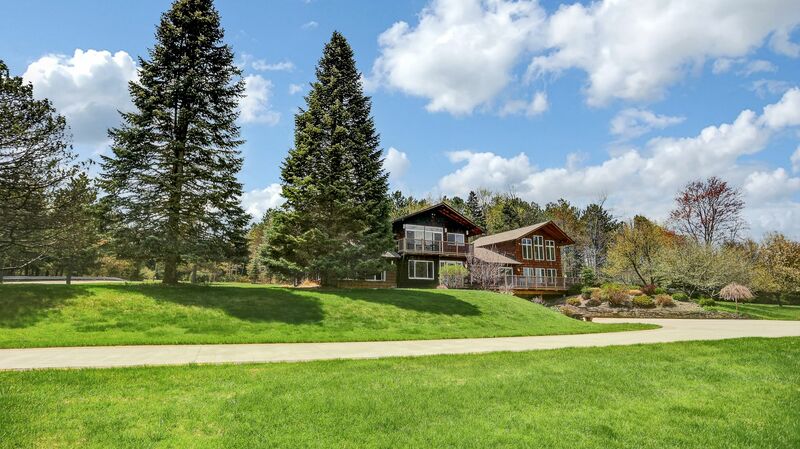 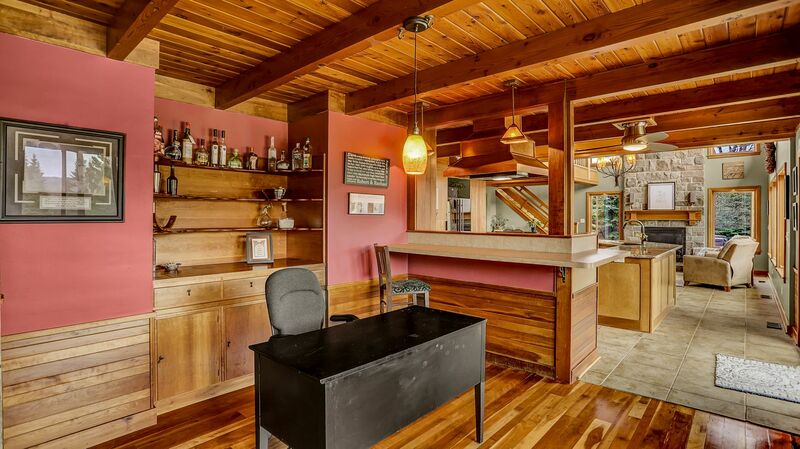 Picturesque hillside contemporary situated on 14 private acres in the wonderful Town of Aurora! 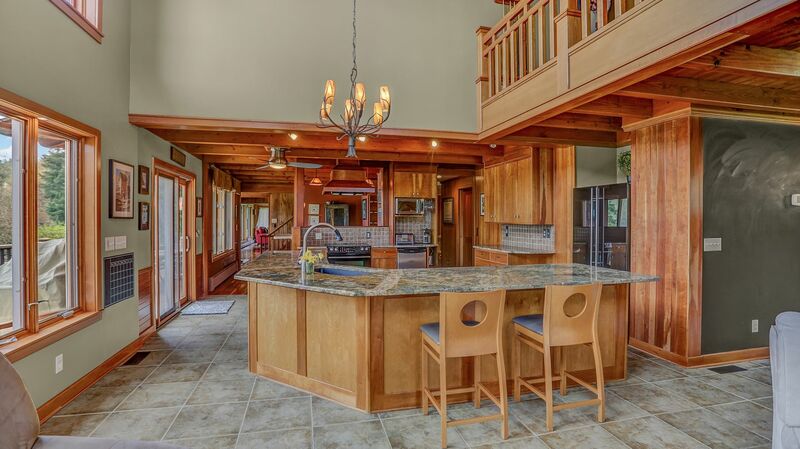 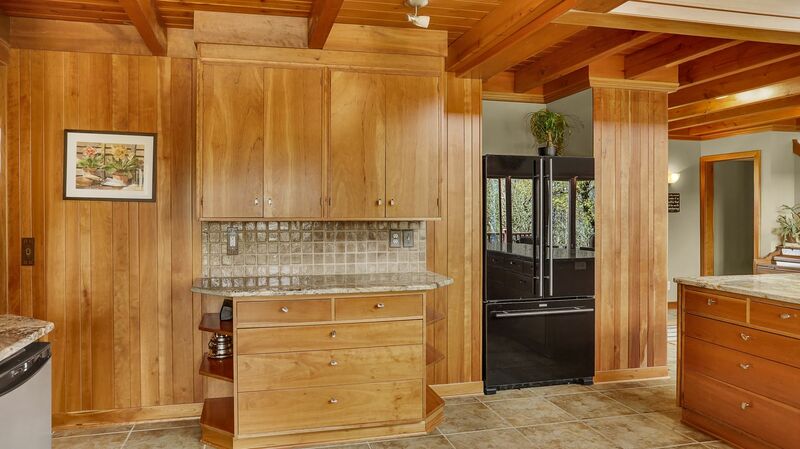 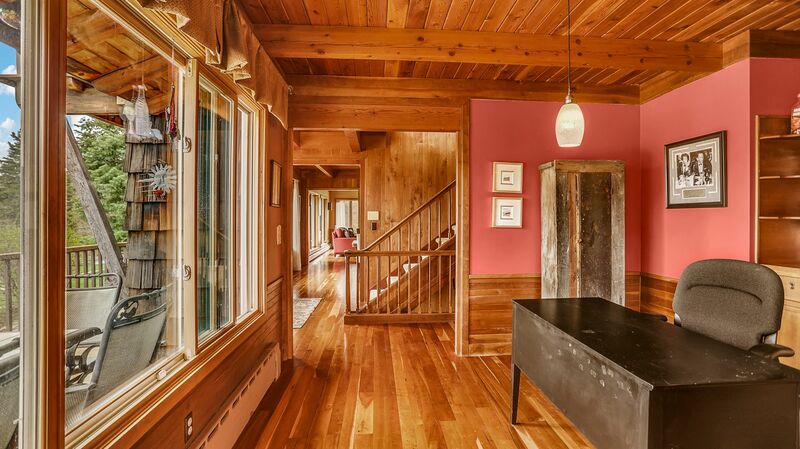 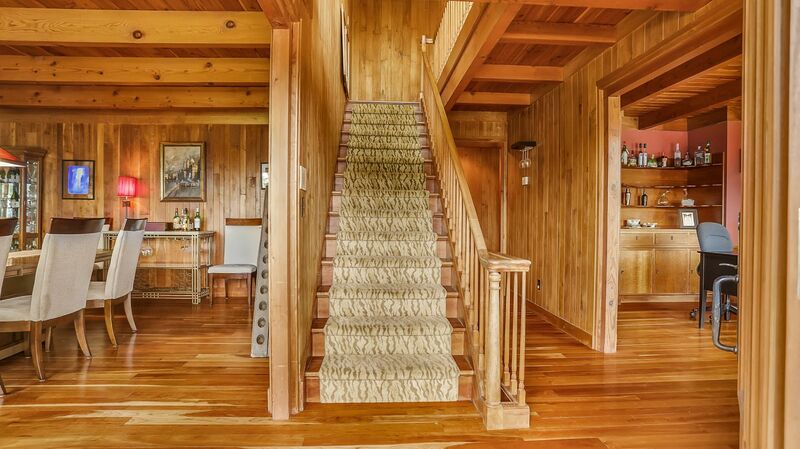 Stunning 3432 sqft home loaded with natural wood work from cherry to white oak! 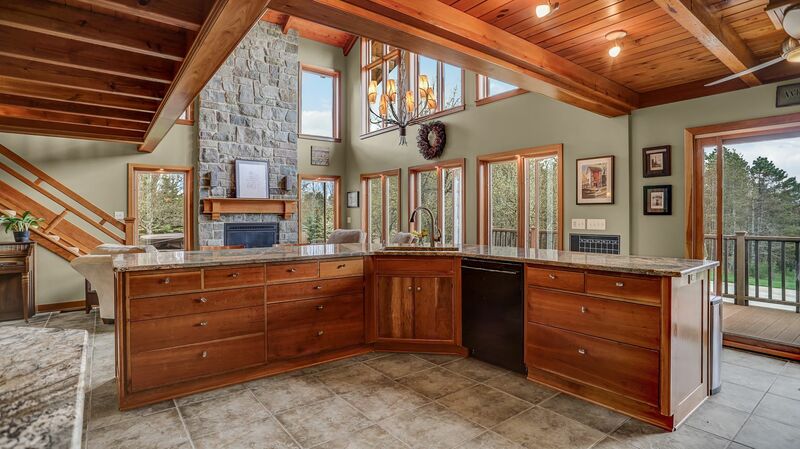 Expansive open-concept kitchen with cherry cabinetry, granite countertops, a HUGE island overlooking the cozy hearth-room with beamed vaulted ceiling. 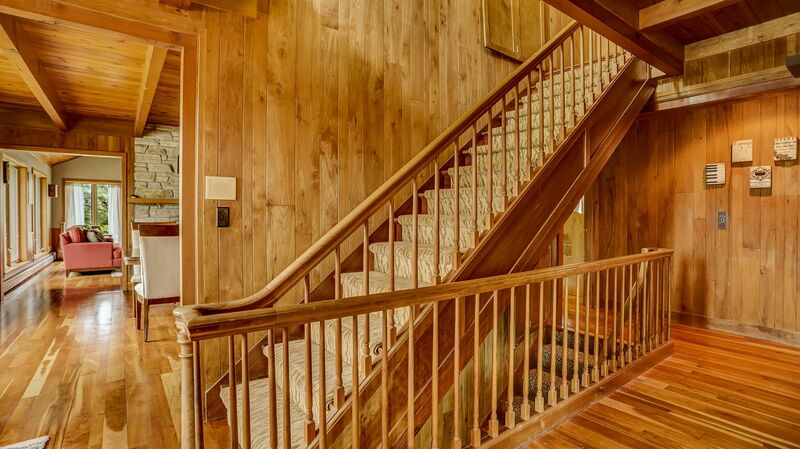 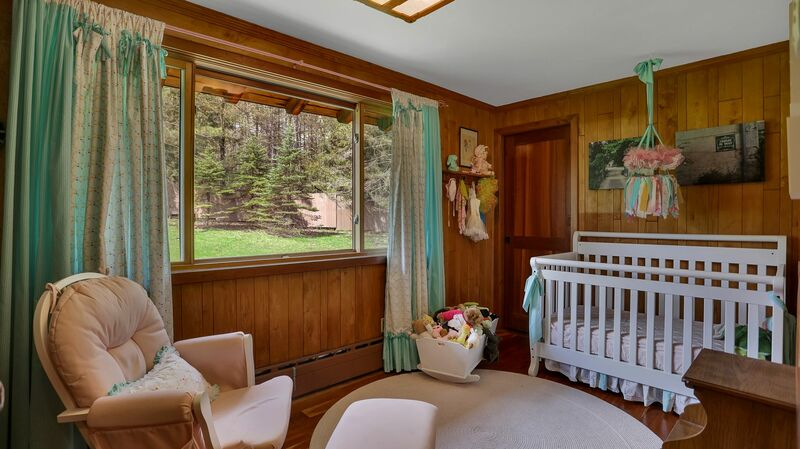 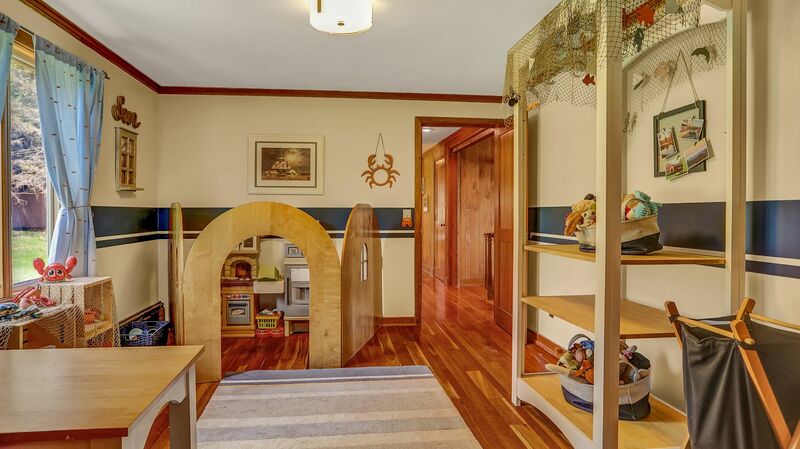 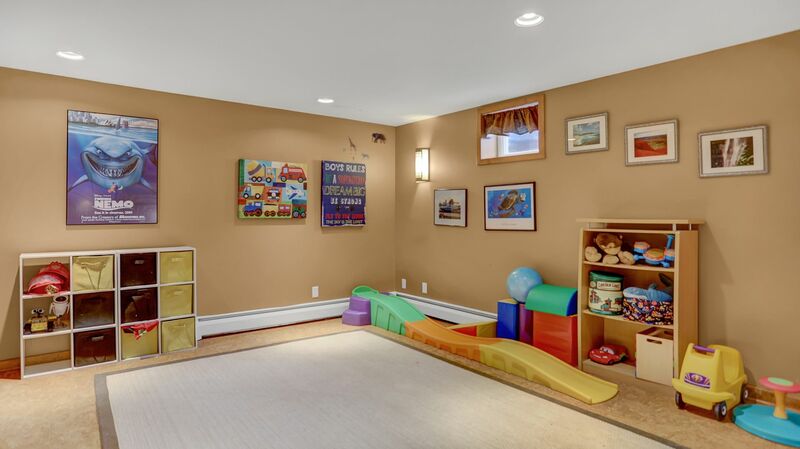 Three additional bedrooms, full bath, loft, office area, formal dining and family rooms round out the additional features on the main floor. 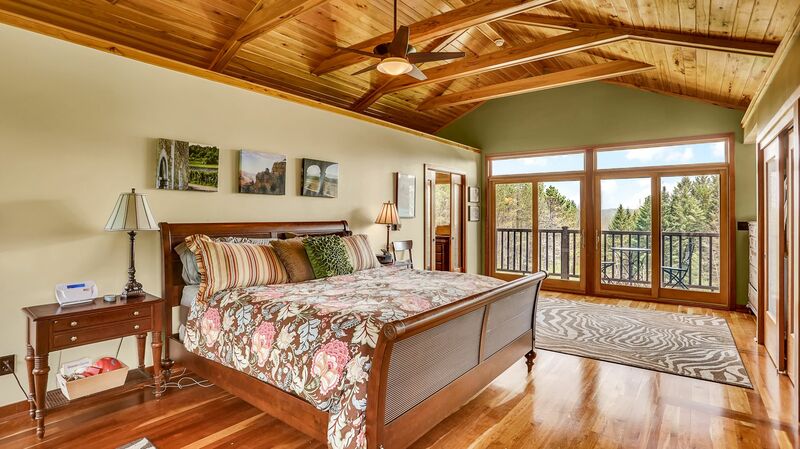 Wake up each morning to the awe-inspiring view from your oversized master suite with private balcony. 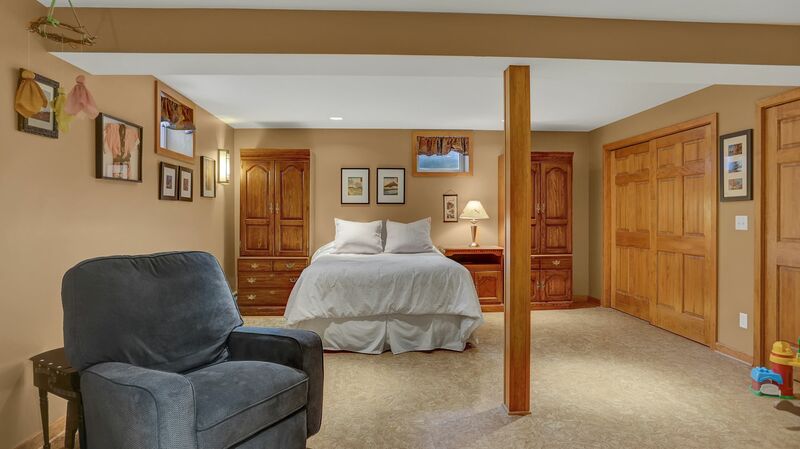 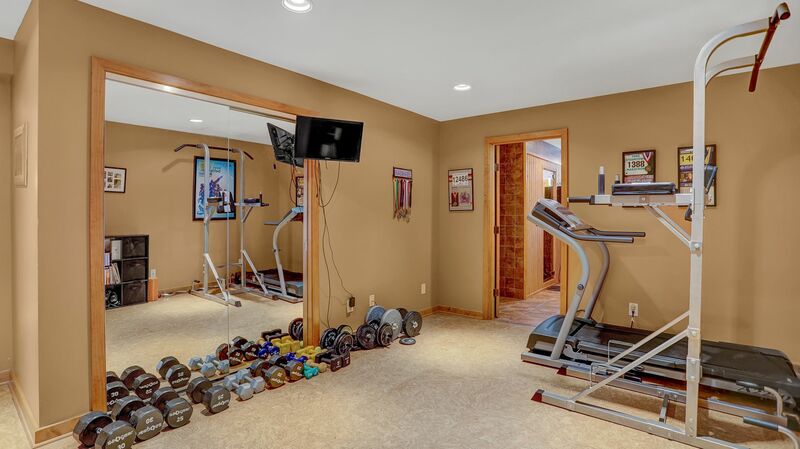 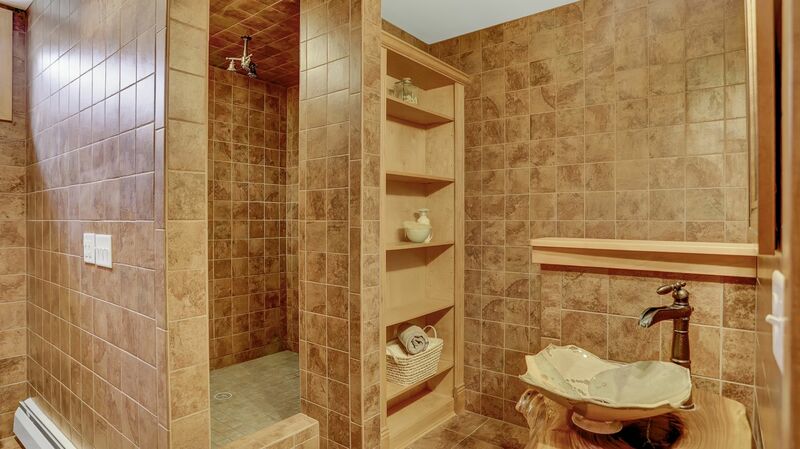 The lower level walkout includes a full bath, exercise area, living room and sauna that was converted to a wine cellar. 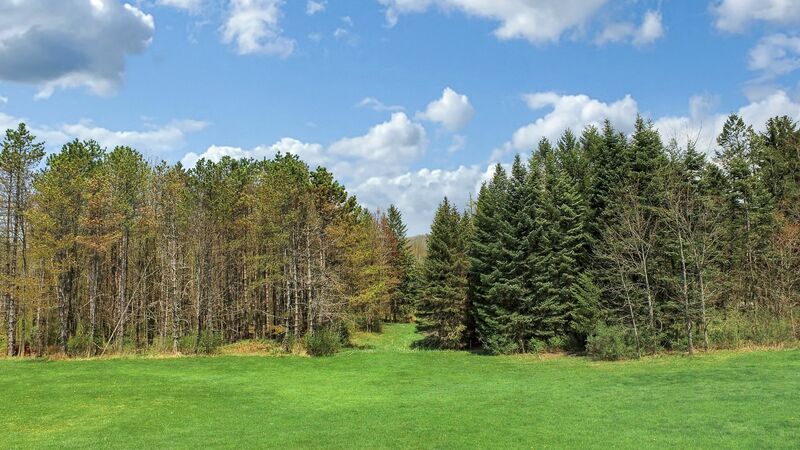 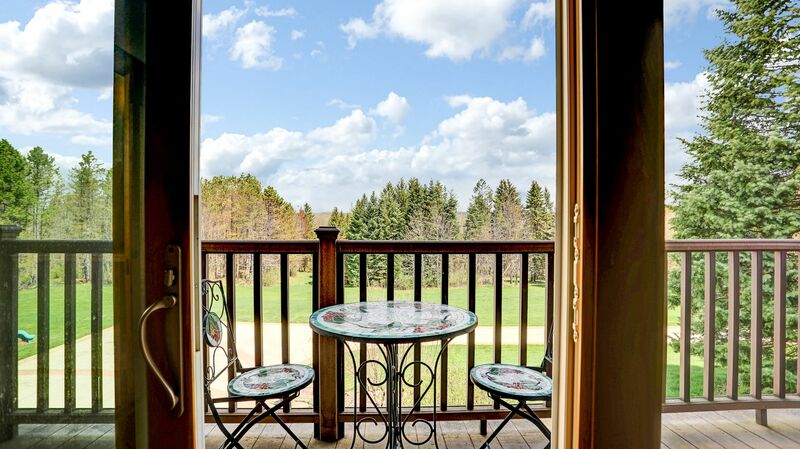 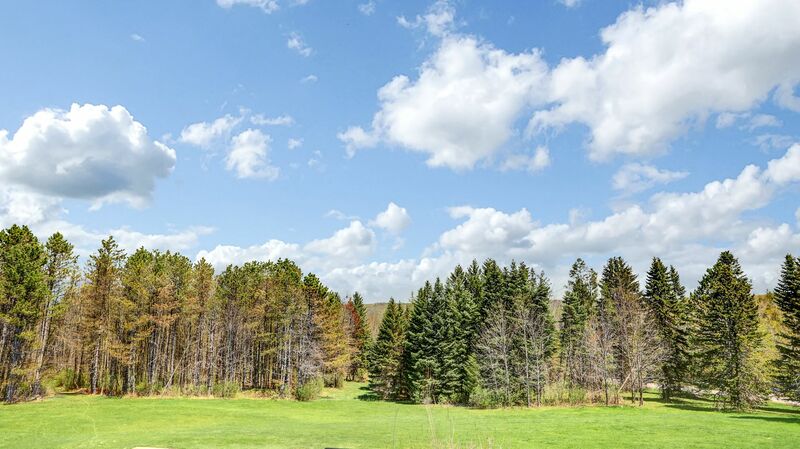 Come enjoy the property and relax to the tranquil sounds of nature!